Ανώνυμος 29 Ιανουαρίου 2015 - 2:30 μ.μ. "Gone," the parrot replied..... "we need THREE tons of oil and leave the invoice on the table." Later on the tavern owner returns, sees the invoice and that the parrot ordered THREE tons of oil instead of ONE. He started screaming and said to the parrot: "One ton of oil I told you to order, why did you order three?" The tavern owner got very upset, he grabs the parrot and crucified him with the wings open. Then he says: "For punishment you shall stay crucified for a week!!!" 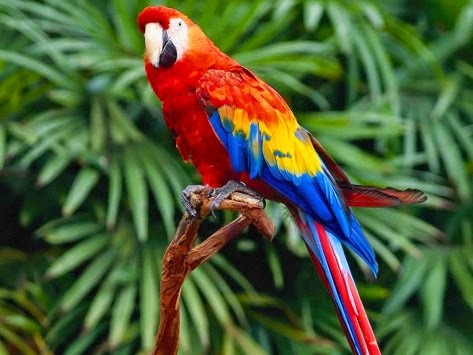 The parrot sees the face of an image of Christ on the cross and hears through the picture, the Christ's voice: "Creature of God, for how long will you be crucified?" "A week Jesus, by the way, how long you're on the cross crucified?" His Voice Replied: "For more than 2,000 years!" "What? how many tons of oil did you ordered?"